Rita: Did you bugger the Bursar? Frank: Metaphorically. You see a very good play, A Midsummer Night’s Dream at Bard on the Beach in early summer. 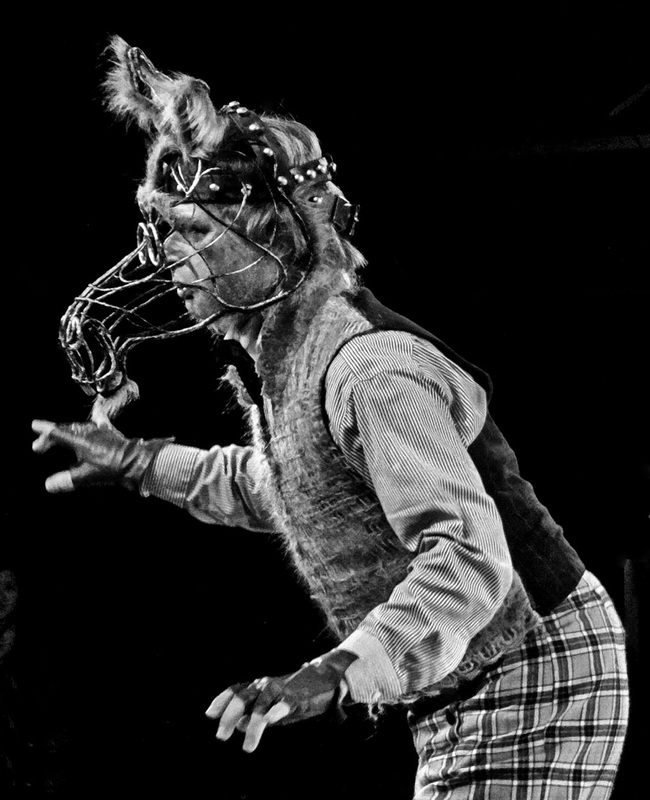 You are wowed by the actor playing Nick Bottom, complete with buck teeth and a donkey mask. It is almost impossible to recognize the man behind the getup but you are still amazed by the performance. He steals the show. You read in your program the man in question is Scott Bellis. You store the info in your head for future reference. Future reference happens quickly. What are the chances that not too long after, in fact on Wednesday, October 1, on the opening night performance of Willy Russell’s Educating Rita at the Arts Club Theatre Company’s Granville Island Stage you might be wowed again by the same man? And this time, Scott Bellis playing the professorial Open University Frank was wearing no masks. In fact with his longish gray hair and refined British accent there were shades there of Colin Firth. From the horse’s mouth, the un horsy and dashing redhead director Sarah Rodgers and with Vancouver Courier theatre critic Jo Ledingham asking the relevant question (I found myself between them on the theatre aisle during the intermission) it would seem that this play went through four Franks (no connection but I cannot ignore from my mind the knowledge of having seen a local alternative band called the Frank Frink 5!). On this opening night of wonder we find out that Scott Bellis is Frank only until October 3. He will then be rehearsing for the George Bernard Shaw play St. Joan (directed by Kim Collier and with Meg Roe, Shannon Chan-Kent, Bob Frazer, Dean Paul Gibson, Daren Herbert, Tom McBeath, Kevin MacDonald, Gerard Plunkett, Christine Quintana, Haig Sutherland, John Emmet Tracy, Nigel Shawn Williams opening on October 23. Bellis will be replaced by Ted Cole. Cole’s performance is bound to be excellent but surely it will be different. Like many others (with the exception of those who saw a production with Bellis produced by Western Canada Theatre Company in Kamloops last year) my introduction to the play came via the Lewis Gilbert 1983 film with Michael Caine and Julie Walters. Of the film I remembered next to nothing, not even that in back of one of the books in Frank’s university sudy there was booze. In this modernized version (brought to date by Willy Russell himself) the booze is there behind Dickens, E.M. Forster and Chekov. But according to my NY Times film review in the film there was booze behind Charles R. Jackson’s novel The Lost Weekend. Few in 2014 might remember the 1945 film version of The Lost Weekend directed by Billy Wilder and starring Ray Milland. But without having to know about Milland’s commanding performance (getting on a stool to look for forgotten hidden booze in the chandelier) Bellis’s going from sobriety to not, was convincing, too. Holly Lewis, playing the married hairdresser Rita, wanting more from life at age 26 than boozing with husband at the pub has a thick low-class accent that had my wife lost now and then. We were wondering if we were watching the North American BBC news channel where the British Empire is still on judging by the multiple accents, uttered by anchors of every race known to us and sometimes all but undecipherable. It was Holly Lewis coming from that not yet oiled (and then well oiled door) were we were pleasantly subjected to one costume change to another. We even noticed that her level of sophistication rose to the point where the raccoon eye make-up disappeared. Lewis’ costume changes contrasted (but were equally as exciting) with Bellis’s costume changes (a sweater on or off, a jacket on, or off, etc) all done on this side of that door and from a clothes rack stand. What was special with these manly costume changes is the way Bellis would swivel here to there or raise his shoe just so. 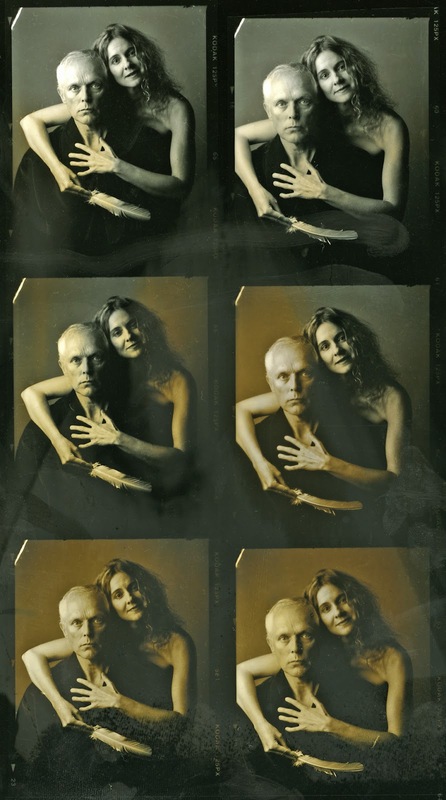 I remember the 2010 Kevin Kerr play Studies in Motion: The Hauntings of Eadweard Muybridge where every move was choreographed by Crystal Pite. Bellis’s moves looked wonderfully choreographed. And when he succumbs to the evil alcohol his moves degenerate convincingly. Director Sarah Rodgers explains the process of at the bottom of this blog. What I particularly enjoyed about this play was in the way both actors made it patently obvious that there were no intimations of any hanky panky. Bellis’s Frank tried to keep Holly Lewis’s Rita authentic without wanting to (at first) changing her from the subjective and emotional woman that she is to a cool, objective woman who would then not be the Rita of the play. Soon the Rita of the play converts herself to the Susan of the play, without abandoning the Rita of yore thanks to Frank’s deft teaching. Rodgers brought music from (and I quote her), “Today’s current strong British female bands – the many Ritas speaking today.” Except for the occasional deep voiced mezzos they all seemed to be women indeed. I expected a play that would be one of those “feel good"(ugh!) plays of the year with nothing to teach me and nothing to challenge me. I was wrong. Having the unpleasant experience of having to deal at this moment with a 17 year-old teenage granddaughter from hell, Educating Rita (this modern version of the play) gave me hope that soon enough that granddaughter will be ready for a change. While I may not have all the moves, accents, and hair of Scott Bellis’s Frank I hope that with my lessons learned I will be around to help. As Rosemary and I were driving home I thought to myself that it was coincidentally interesting that Educating Rita is really a variation of George Bernard Shaw's Pygmalion. In Rita there is no wager made by Professor Higgins. The wager becomes Rita's ability to pass her examination. If anything Educating Rita is a delicious hors d'oeuvre which will be followed by Shaw’s St. June on October 23. Here I am ~ first chance I have had as I rehearsed all day then was at a Tuts Gala tonight. The transitions started from a practical place where we needed the character Frank to change his costumes on stage. We created an interesting path for each scene and once the music was added my actor Scott Bellis instinctively started to time the business and movement to the musical phrases. As we worked through Act 2 I suddenly realized that my actor couldn't drop out of character ~ if he had been playing drunk in one scene then it was strange to have him drop out of character to move through the scene change. Scott Bellis as Frank stays in his current place of emotion and drunkenness throughout the transitions ~ the gift of this is that Frank's journey is even more vivid and heartbreaking as we follow his every moment in between the scenes. Cheers ~ always great to see you. Link to: Rita: Did you bugger the Bursar? Frank: Metaphorically.